A perennial herb, elecampane (Inula helenium) grows in USDA Hardiness zones four through nine. Hardy and forgiving, it grows anywhere from full sun to partial shade. 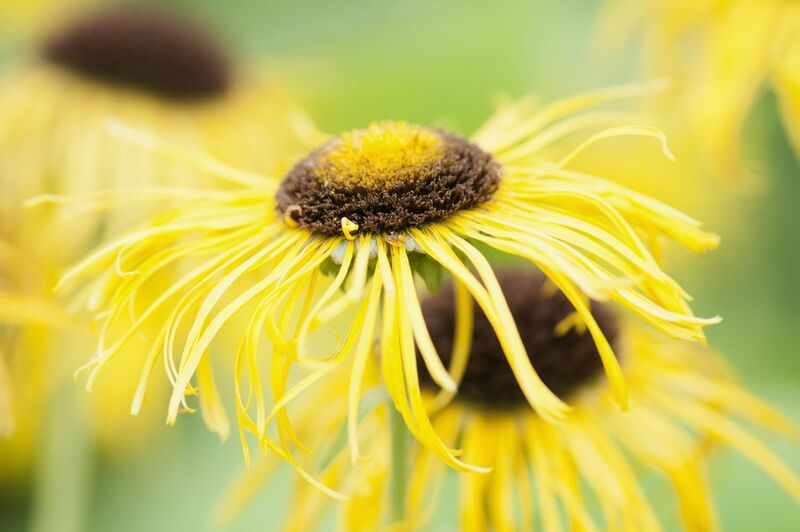 Often found near woods, elecampane can withstand dry soil, but thrives in nice, damp ground. Harvest the root of elecampane in the spring or fall season. Like many herbal roots, this plant has a very large and sturdy taproot, which will require some digging to harvest. Use the root fresh or dried, made into a tincture, decoction, or syrup. Store elecampane roots as you would any herbal root. If dried, store out of direct sunlight. Roots should be cleaned and chopped into manageable size before drying and storage. This herb can be used fresh, dried, powdered, and candied. There are many ways to use up your elecampane harvest, so grow enough in the garden to cover all the bases. Elecampane is a herb with a rich history. As far back as Roman times, this herb was commonly used for indigestion. According to Herbalist Tammi Hartung, the Roman scholar Pliny recommended elecampane to life the spirits. Rodale's Illustrated Encyclopedia of Herbs mentions that Helen of Troy is said to have had a handful of the plant when Paris stole her away. It is interesting to note that some of the nicknames for elecampane–scabwort and horseheal–came from the early belief that it cured many ailments on animals. Used around the world, in China it is used as a treatment for bronchial and breathing issues. Here in America, this herb is also used for respiratory problems. It would be a good herb to consider when making cough drops or sore throat syrups. American Indians used the plants for lung ailments as well. A modern use would be to make a simple tea from the roots and drink it to help soothe stomach cramping and a remedy for a cough. Since it would be an easy way to store and use this herb, perhaps it makes sense to make some elecampane tincture and syrup right at harvest time. Then, dry the remaining herb for storage. The herb is also a hard-working multipurpose herb. Its lovely yellow flowers are reminiscent of the wild sunflower, in a more manageable size. Grow it for its flower color and for its hardiness. Once established, you would be hard-pressed to kill this useful herb. Rodale also says that elecampane root has been used as a flavoring for sweets and that the roots can be candied and eaten as a sweet treat. This may be enough of a reason to grow a few plants! Wouldn't a gift basket of candied herbs like ginger, angelica, and elecampane, be an interesting thing? Elecampane can also be used in dried flower arrangements. Harvest the flower heads when the plant dies back. Then you can cut back the remaining stems for the winter.